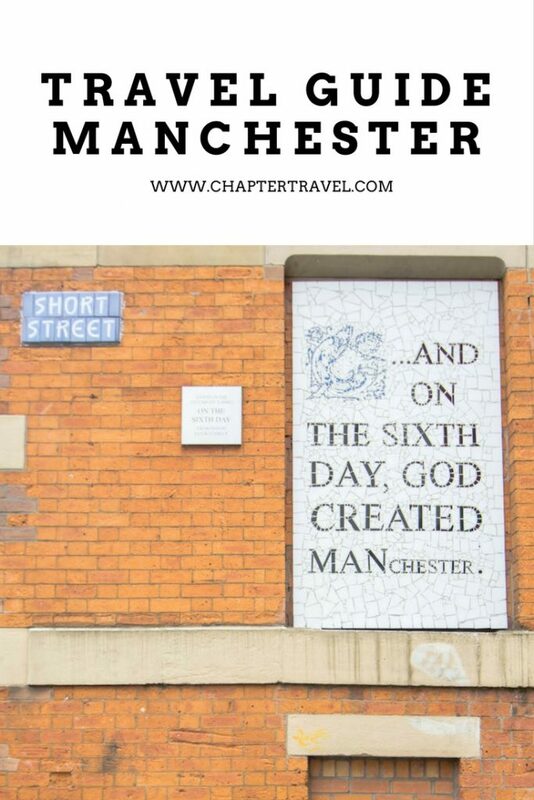 Last weekend we had the chance to visit Manchester during the Worker Bee Weekender by Visit Manchester. During our time here we realised what an incredibly cool city Manchester is. There is such a passion for sports, culture, music, food and so much more. If you’re looking for a cool citytrip in Europe, we definitely recommend a visit to this city. 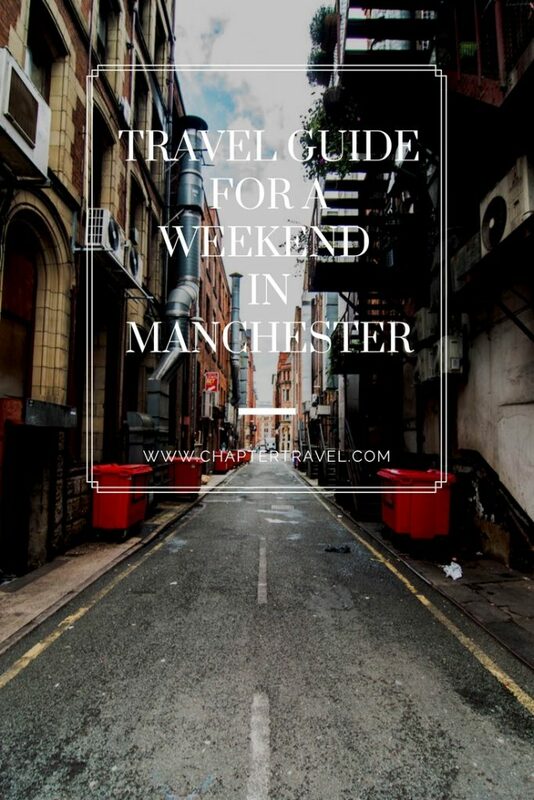 Be sure to read this Travel Guide for a Weekend in Manchester for some inspiration. 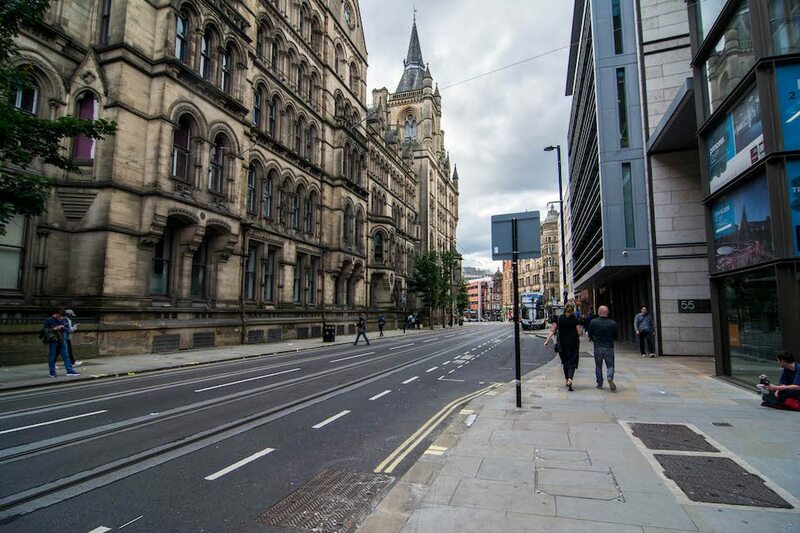 In this article you can find how to get around Manchester with public transport, 5 fun things to do in Manchester and recommendations for where to eat and where to sleep. 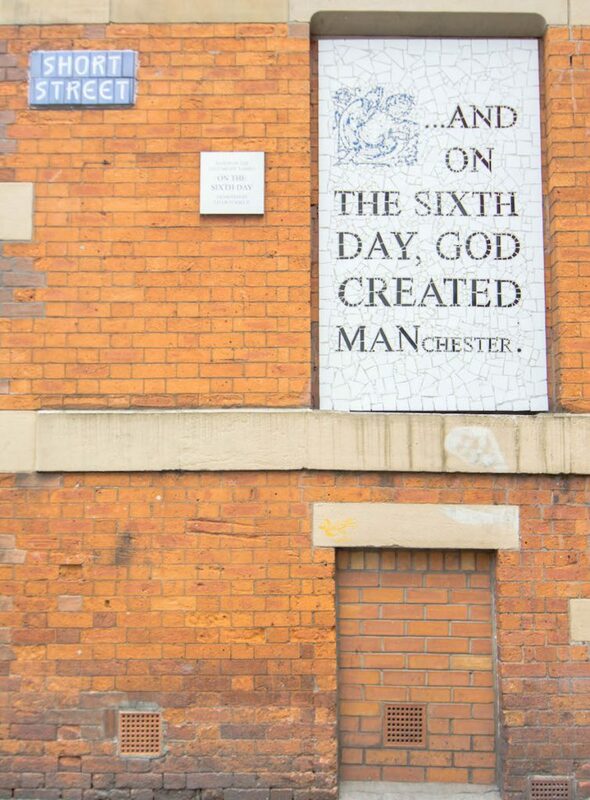 You will find this mosaic in the heart of the Northern Quarter. In the recent months, Manchester has experienced difficult times. 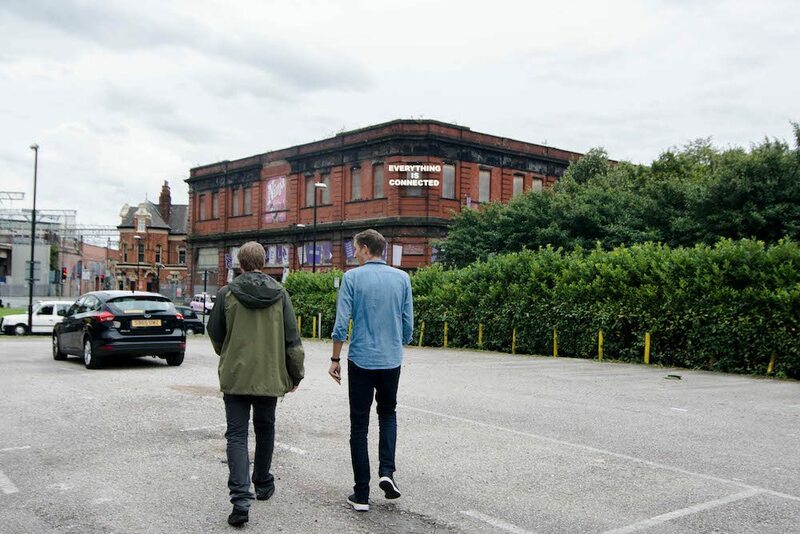 Instead of dwelling in the past, Manchester’s locals want to look towards the future. Although nobody forgets about the horrible incidents, it’s important to stand united and not let hate win. One thing we noticed in Manchester when we spoke to locals was the love they have for their own city. It was something that we recognised, as in our hometown Rotterdam most locals have the same pride about their city (as do we). Manchester was the first industrial city in the world and was dubbed as Cottonopolis and Warehouse City during the Victoria Era. This industrial style can be seen back in the architecture of the city. More than twenty Nobel prize winners have either worked or studied at the University of Manchester. Furthermore, the first modern computer was built at the University of Manchester. If that’s not impressive enough, the atom was first split at the University of Manchester. Be sure to take an umbrella with you. It rains a lot in Manchester, more than 1mm of rain on 143 days a year. More interesting facts can be found at The University of Manchester Alliance Manchester Business School. Manchester has quite a small city center, which is ideal to get around. Most must-see spots are in reach from each other and thus are walkable. If you’re not a big walking fan or if some activities are not within walking distance, it is possible to use public transport. Namely the tram, bus and train. Personally, we mostly walked or made use of the tram. The Metrolink Network has frequent services and connects almost every part of Manchester with each other. This makes the tram the most convenient way of travel around Manchester. On the Metrolink Network website you can find all sorts of possible tickets, such as the various travel cards. For instance, they offer the Weekend Travel Cards, which gives you unlimited travel on all Metrolink services after 6pm on Friday until the last tram on Sunday. There are tickets for adults, children and for family and prices range from 2.70 to 8 pound. Pretty convenient, right? We personally did not make use of the bus. 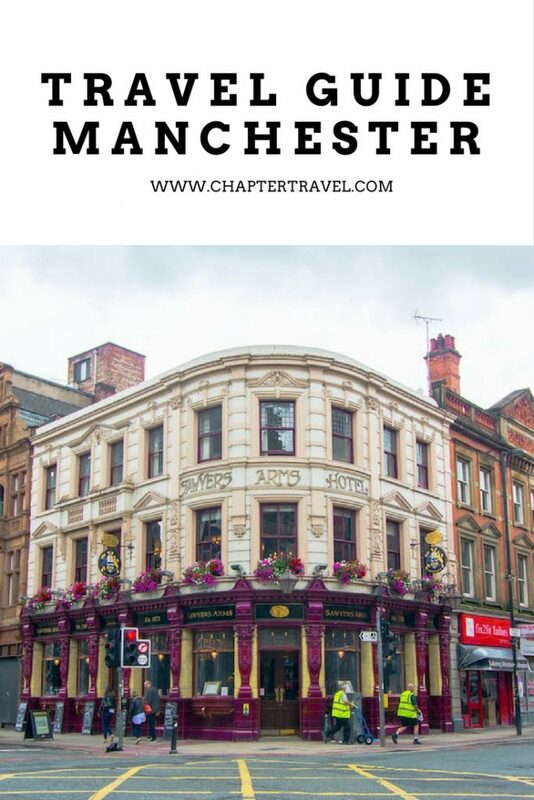 But after some research on the Visit Manchester website, we found that there is a free hop on, hop off service in the city center that links all the main stations, shopping districts and business areas. The commercial bus services run across Greater Manchester. More information about buses can be found here. The train network in Manchester connects you with the nearby towns and districts of Greater Manchester such as Ashton-under-Lyne, Bolton, Oldham, Rochdale, Stockpot and Wigan. More information about trains can be found here. There are lots of fun things you can do in Manchester. Below you can find 5 fun things to do in Manchester that all can be done in a three day weekend. … or at Etihad stadium of Manchester City. In Manchester there are two big teams: Manchester United and Manchester City. 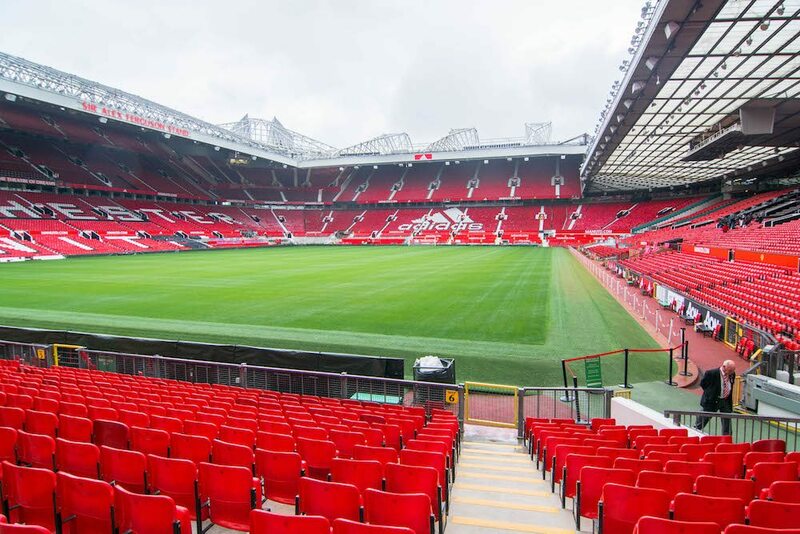 We had the possibility to have a tour around the stadium of Manchester United. Unfortunately, there was no match while we were there, but the tour is definitely a good alternative. Although I’m not a big football fan (Jeffrey is though), it was quite interesting to walk around there and learn more about this legendary football team. The tour guide was very enthusiastic and it was infections, as we had a great time. 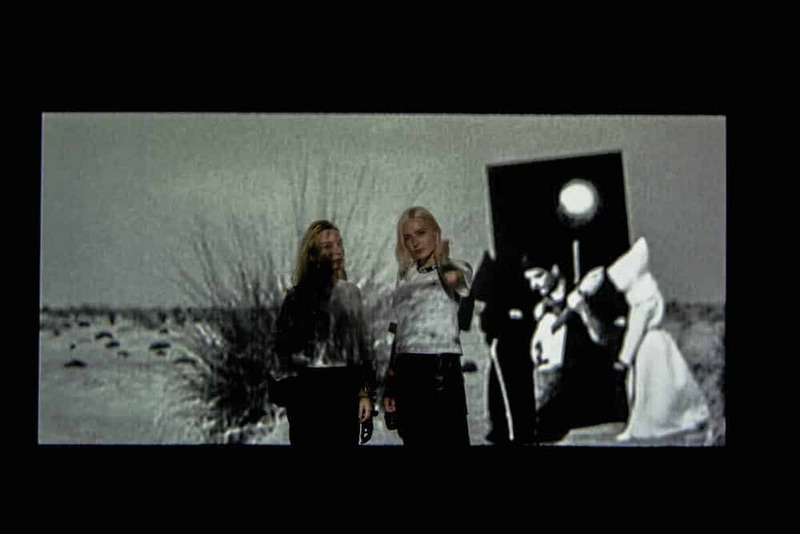 The above photo was taken at the Manchester Art Gallery in a dark room with a projector where they played music and clips from Joy Division. The Manchester Art Gallery has a free admission, which is always appreciated if you’re on a budget. Plus, as it can rain quite a lot in Manchester a visit to a museum is a great option. Manchester Art Gallery regularly showcases interesting exhibitions. During our visit there was an amazing exhibition called True Faith, which explored the significance and legacy of New Order and Joy Division. Both Jeffrey and I love their music so it was very interesting and cool to learn more about it. We kept coming back to Northern Quarter during our time in Manchester, as it’s a cool district with a lot of character. 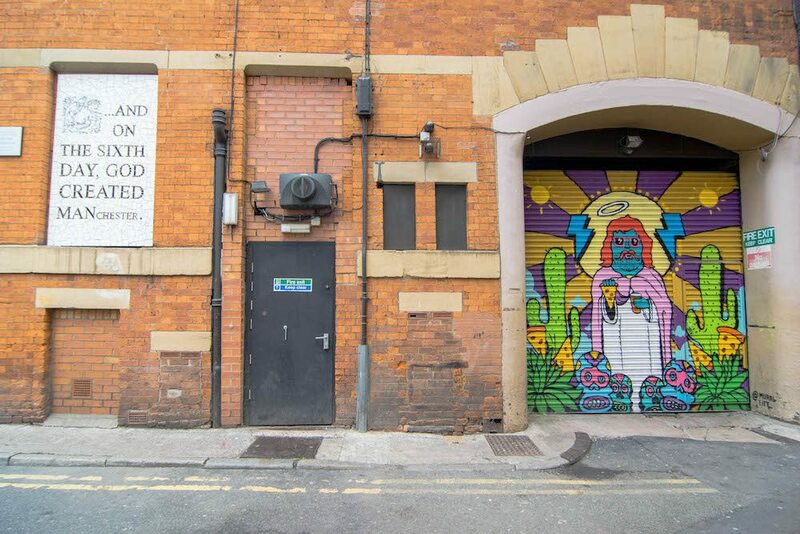 In Northern Quarter you can find a lot of great bars, restaurants, street art and shops. It’s a great place to find retro clothes, rare vinyl, and we saw a lot of skate board shops. Furthermore, there is also a lot of nightlife in this vibrant area. The above photo is taken at King Street, where you can find a lot of (expensive) shops. Manchester is a great city for shopping. We have already recommended the Northern Quarter, which is one of the places to find unique shops with various products and vintage stores. 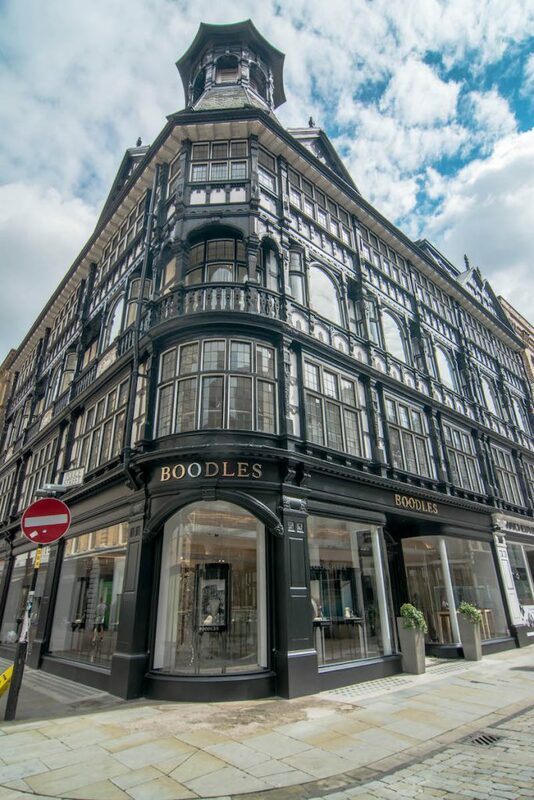 Next to this district, Manchester offers a big variety of stores and cool shopping streets. If you’re a big fan of malls, there are plenty of options for you too. For instance you can go to Manchester Arndale or the Trafford Center. Manchester offers a lot of great pubs, bars and clubs. 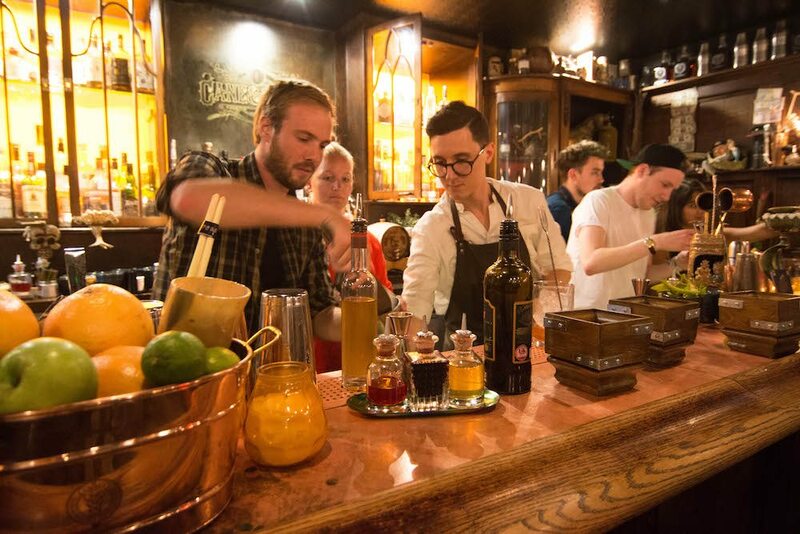 If you’re out for some great cocktails we recommend a visit to Science + Industry and try some of their signature drinks. Manchester also has some amazing venues, such as Band on the Wall, which has been part of the cultural and music landscape for almost a century. At this venue you can find different performances and live music. In 1970 Joy Division played some of their earliest concerts here. The above photo was taken at Cottonopolis in Manchester. We were positively surprised with the great restaurants that are offered in Manchester! 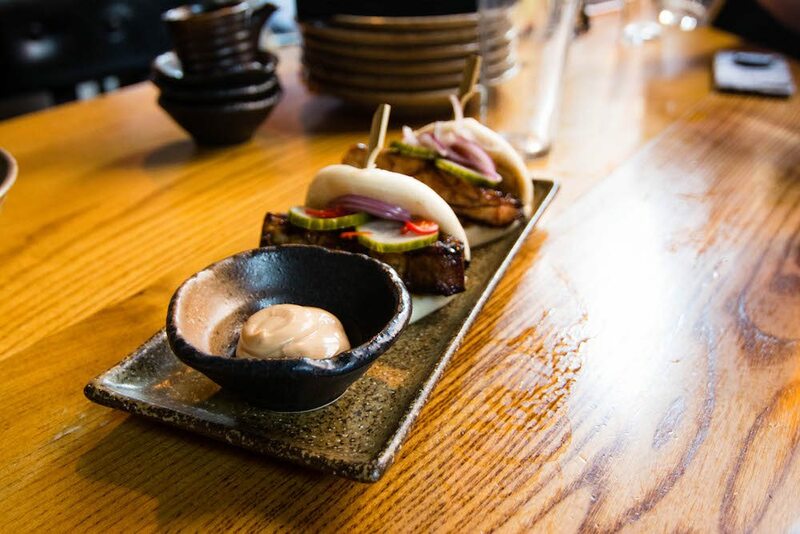 If you’re looking for some foodie inspiration in Manchester, we got you covered with our 8 Food Hotspots in Manchester article. There you can find inspiration for breakfast, lunch, dinner, snacks and drinks. We stayed at the amazing Lowry Hotel in Manchester. Above you can see the amazing room and huge bed we had the privilege to sleep in. Not only was the room amazing, we loved the breakfast in the morning as well. It included a buffet with lots of options and a la carte with our favourite choice: Eggs Benedict with Salmon. We recommend staying here if you’re looking for a luxurious 5 star hotel. 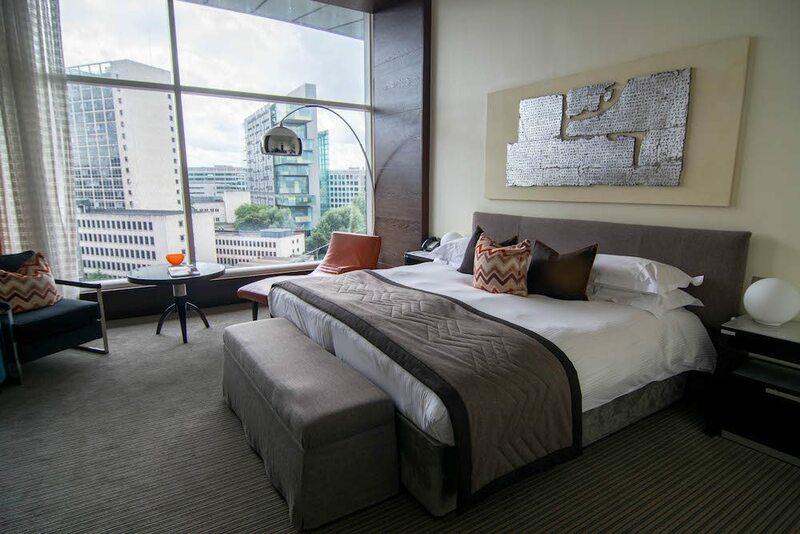 If you’re looking for a budget hotel, we recommend checking out this article for the 10 best cheap hotels in Manchester. 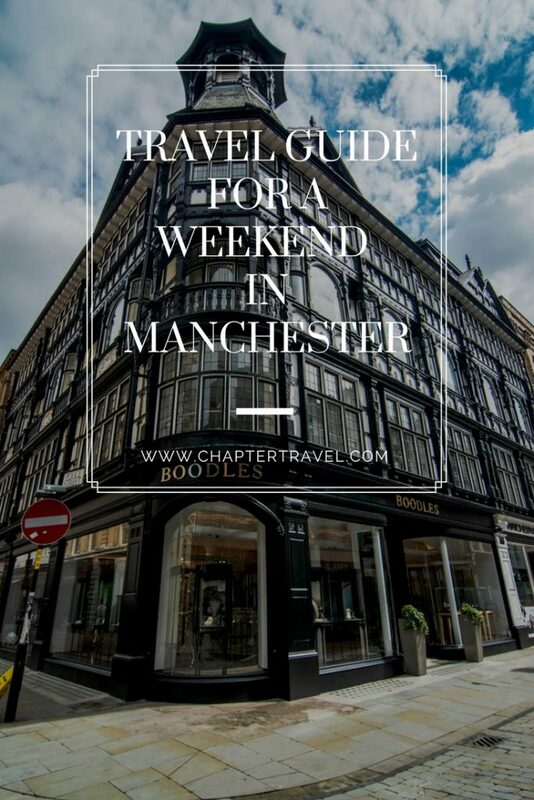 We hope this little guide provides you with enough inspiration for your stay in Manchester, whether it’s during a weekend visit or a longer stay. Our time in Manchester has been amazing and we hope you have the same experience. Be sure to check out the Visit Manchester website for more detailed information. You can also always sent us any questions by commenting below or by sending us an e-mail! It really does have a unique spirit! I will definitely check out your blog. Thank you for your comment! Great tips! I was recently in Manchester for a day (my first time there!) and found some really cool cafes and bars in the Northern Quarter! Yes, the Northern Quarter is awesome! It’s one of our favourite British cities too! Thanks! Looks like an amazing trip. Very informative blog and would love to visit this place.